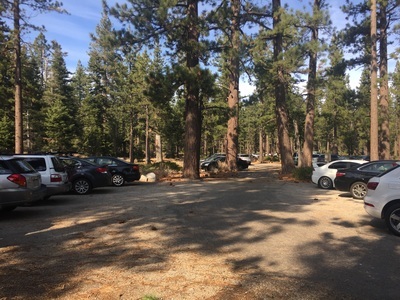 Parking: Free parking lot near the address above. 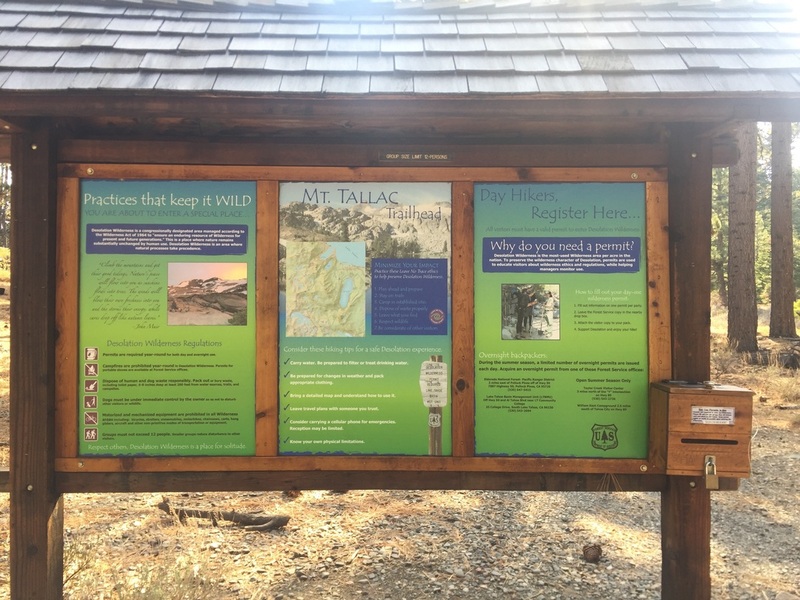 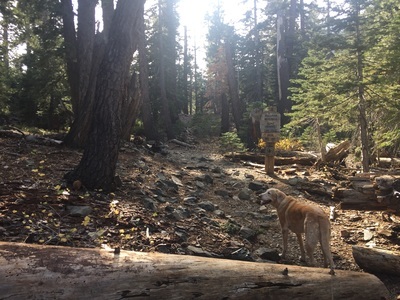 Register for a self-serve wilderness permit at the trailhead. Description: This is one of the most stunning hikes you will probably ever encounter. 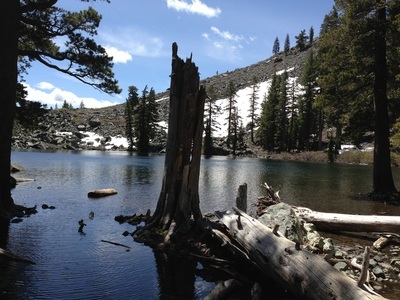 Although it's long, it winds through ever-changing scenery, from wooded areas, to hidden lakes. 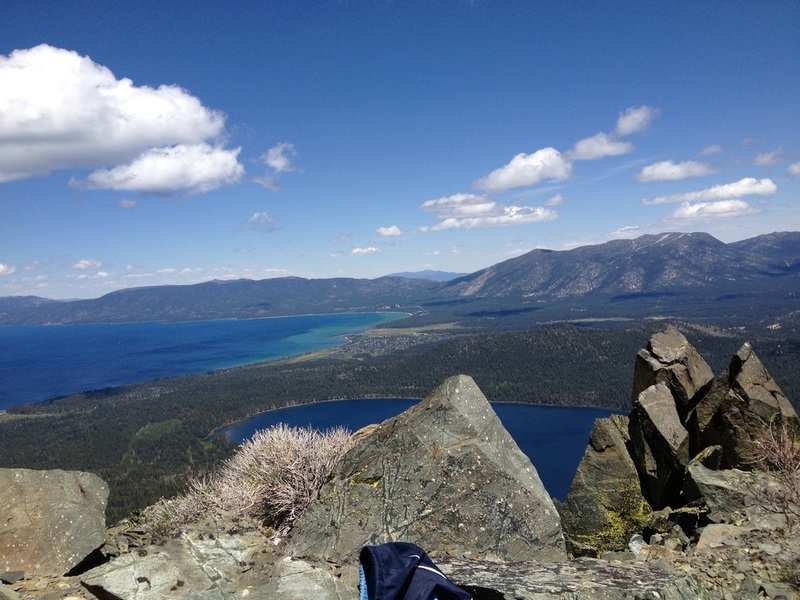 It ends at the incredible 9,735 ft summit with 360 degree views of the mountains and Lake Tahoe. 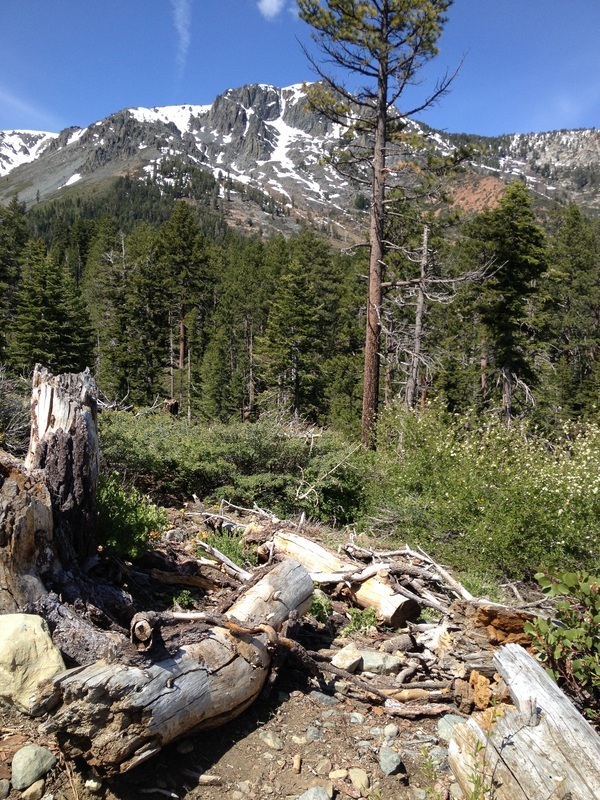 Although the trail was strenuous, I did not find it too difficult until the last scramble up to the peak. This trail is rocky and very steep, and often covered in snow even when the trail below is not. 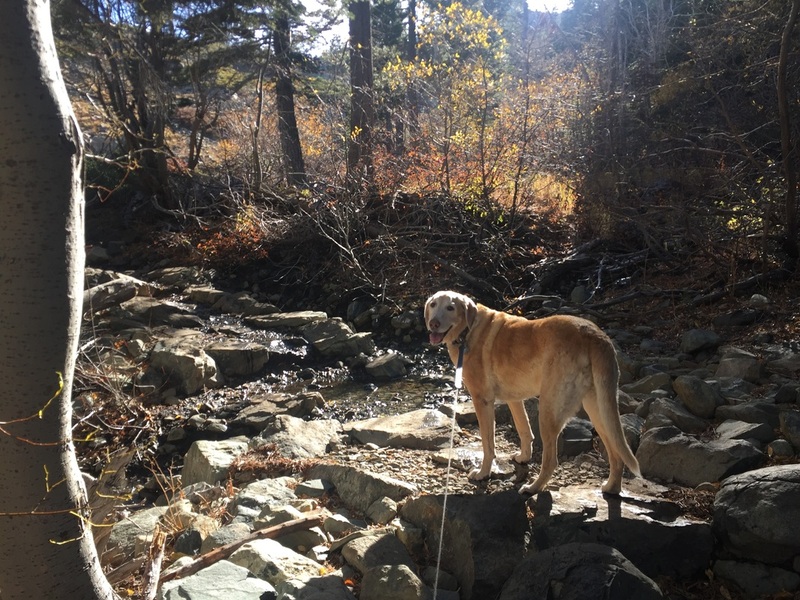 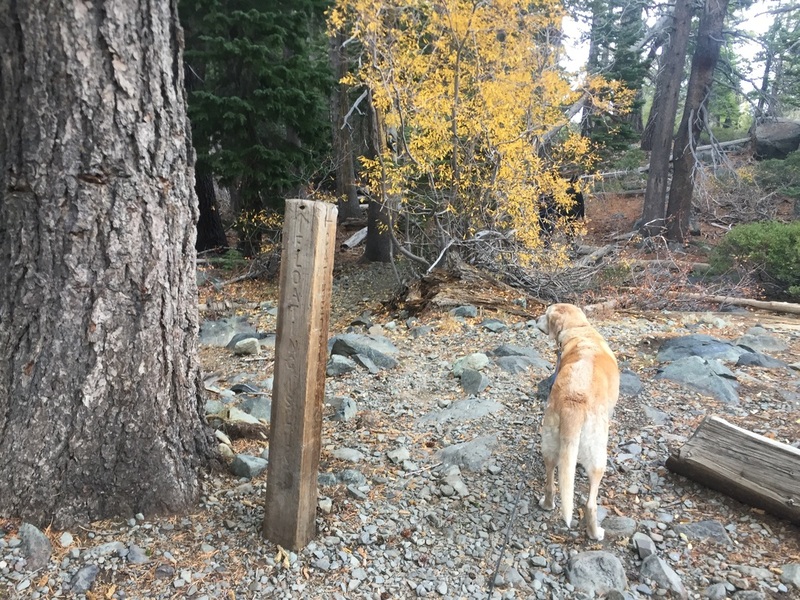 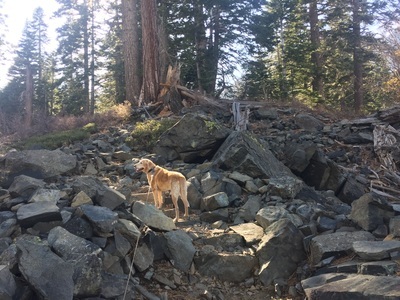 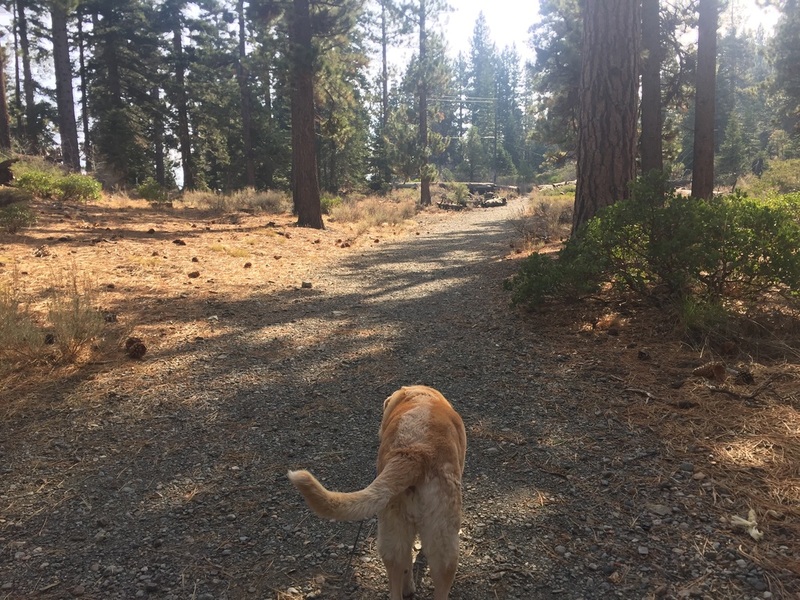 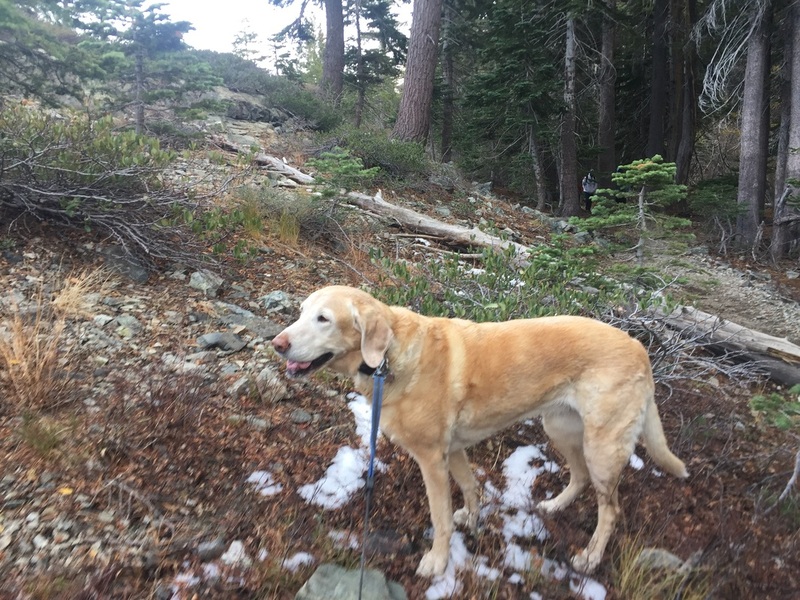 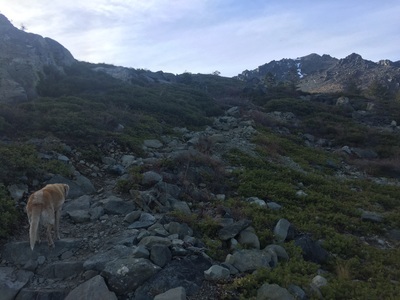 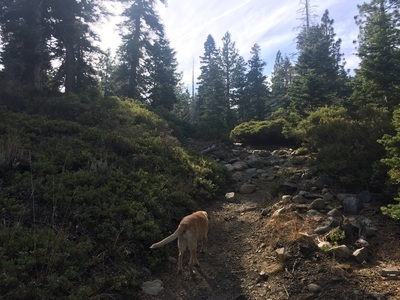 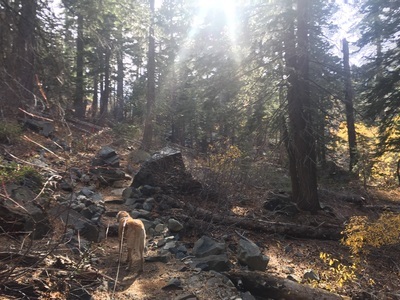 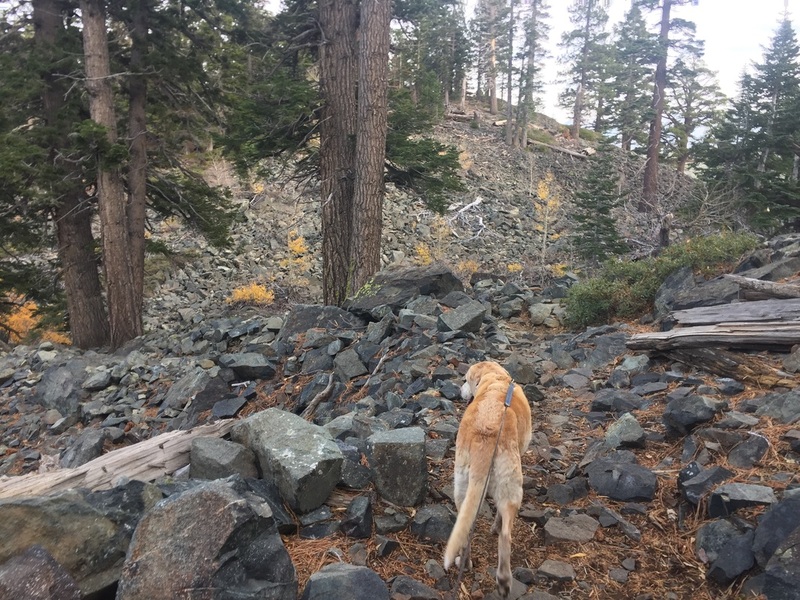 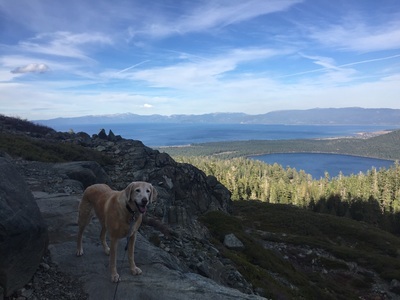 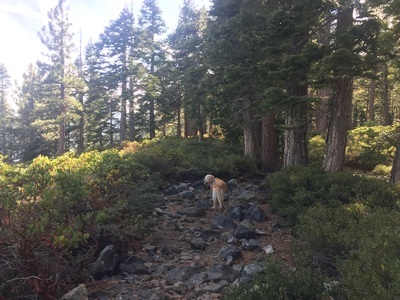 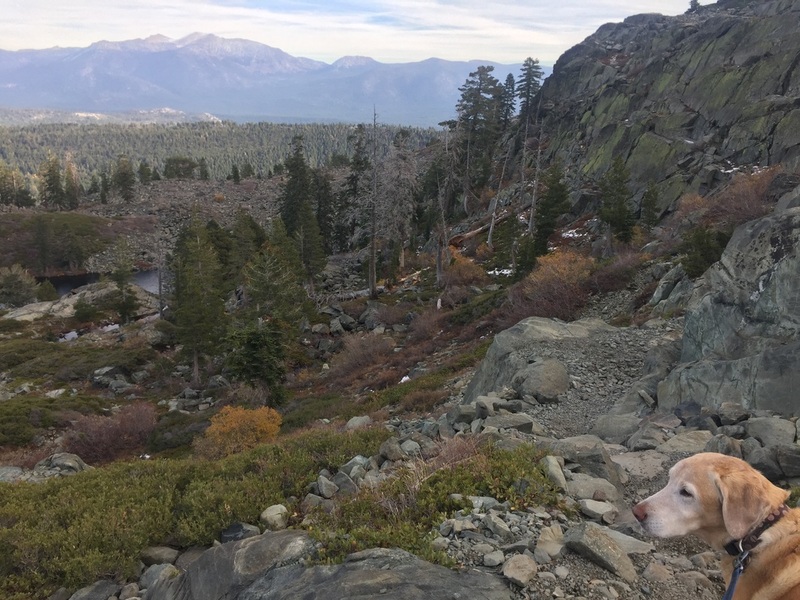 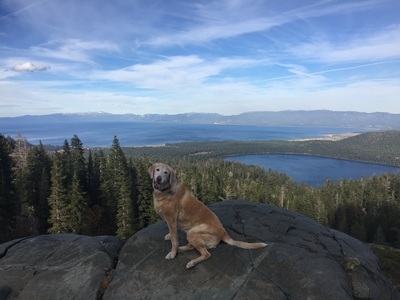 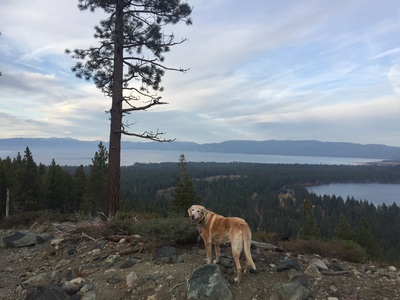 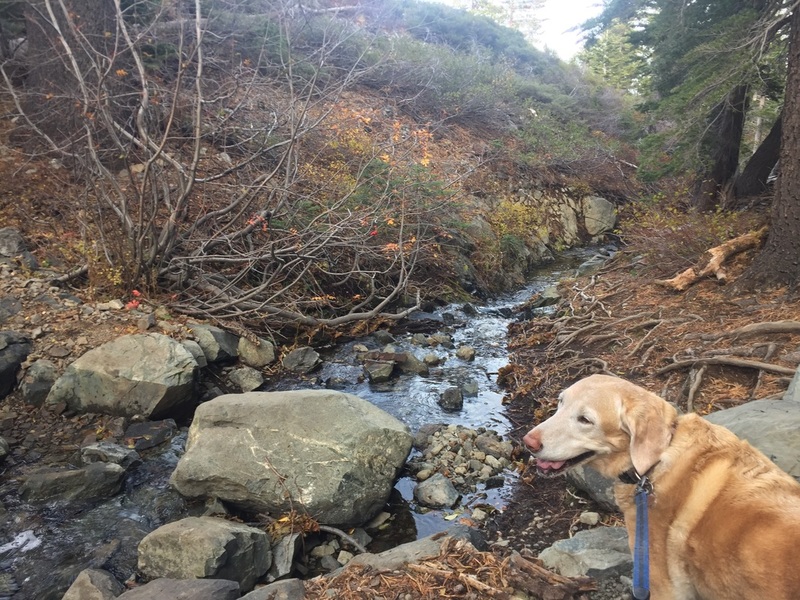 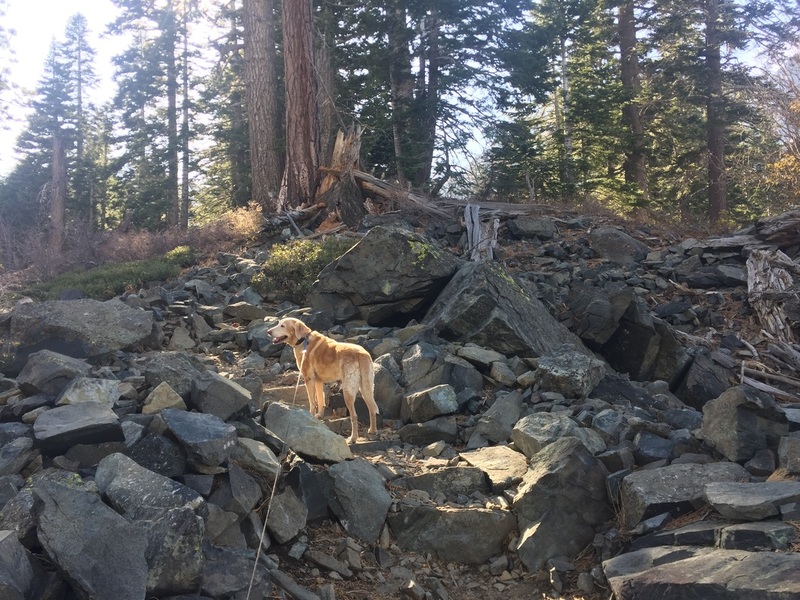 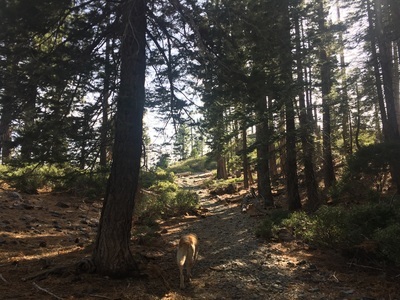 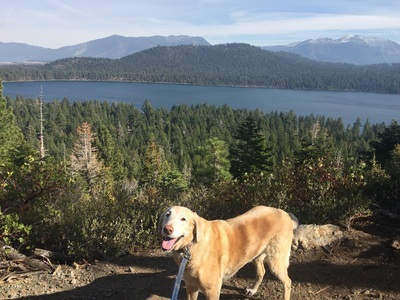 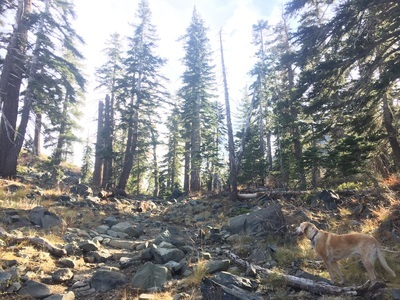 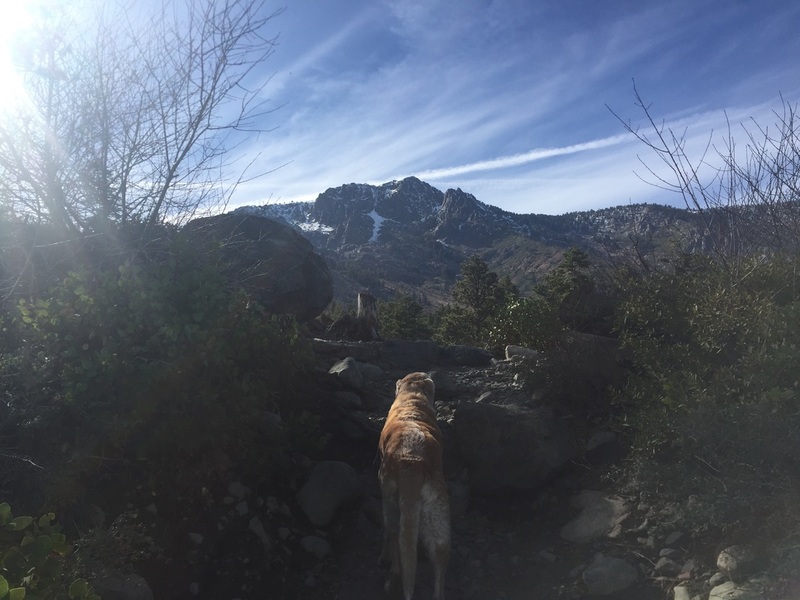 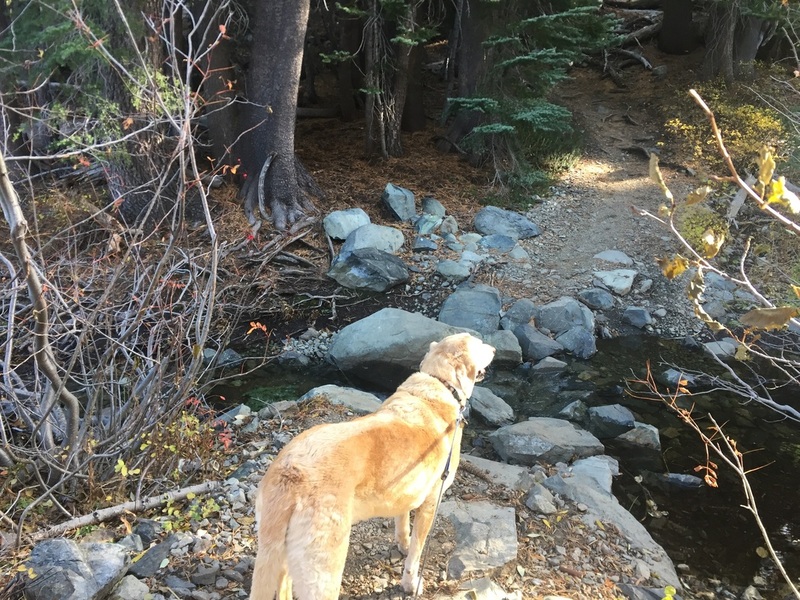 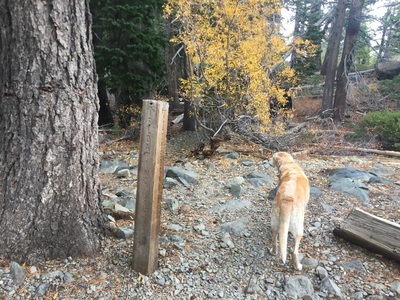 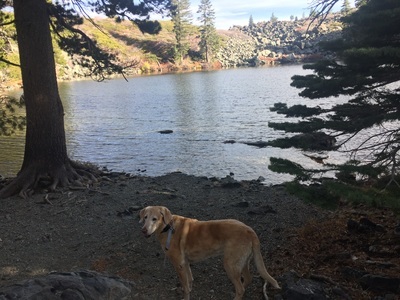 I would not recommend the hike to the summit unless you and your dog are in excellent shape. 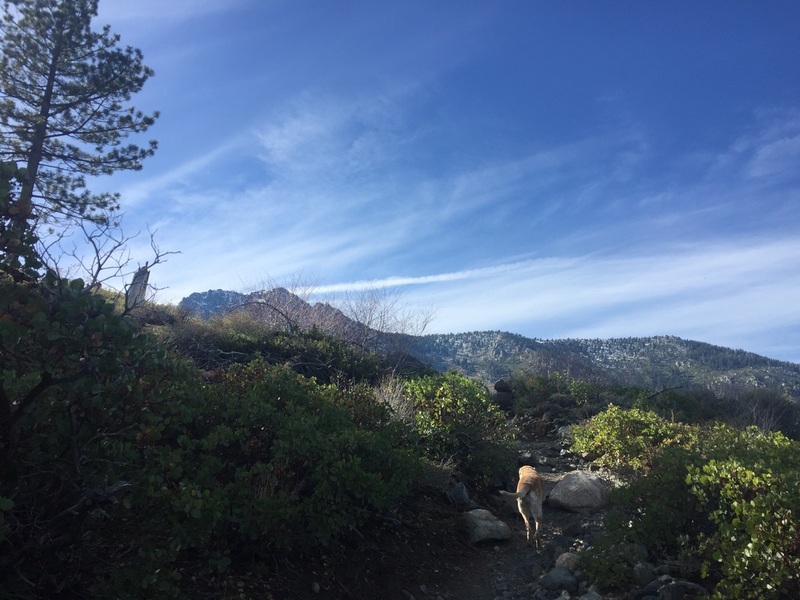 However, even if you do not make it to the summit, the trails below are well worth the hike. 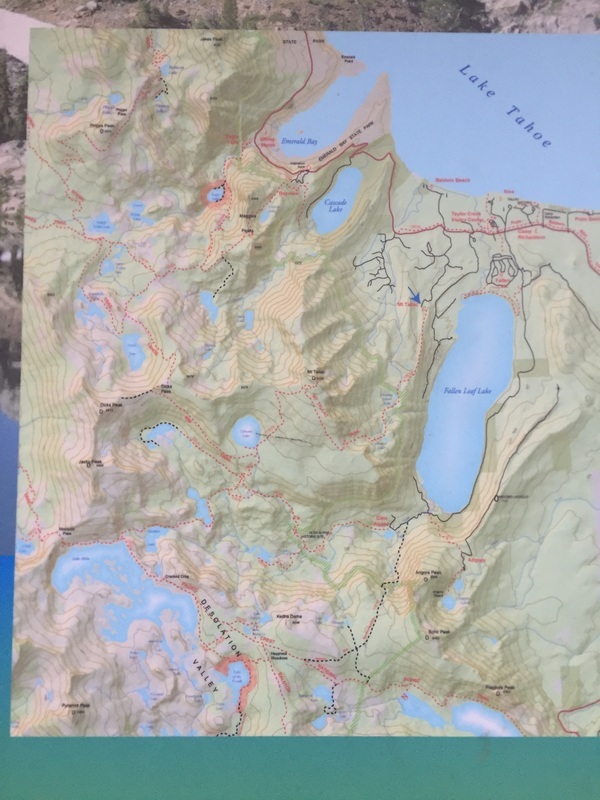 You can turn back at Floating Island Lake (1.7 miles one way), or Cathedral Lake (2.5 miles one way), and still have an incredible hike. 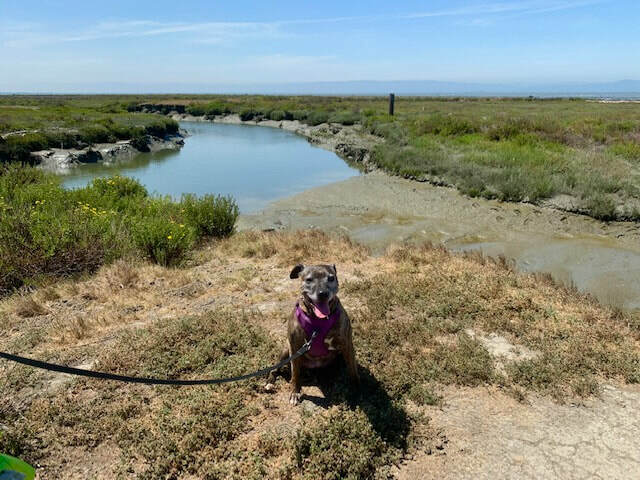 Bring lots of water, and watch your dog for signs of overheating. 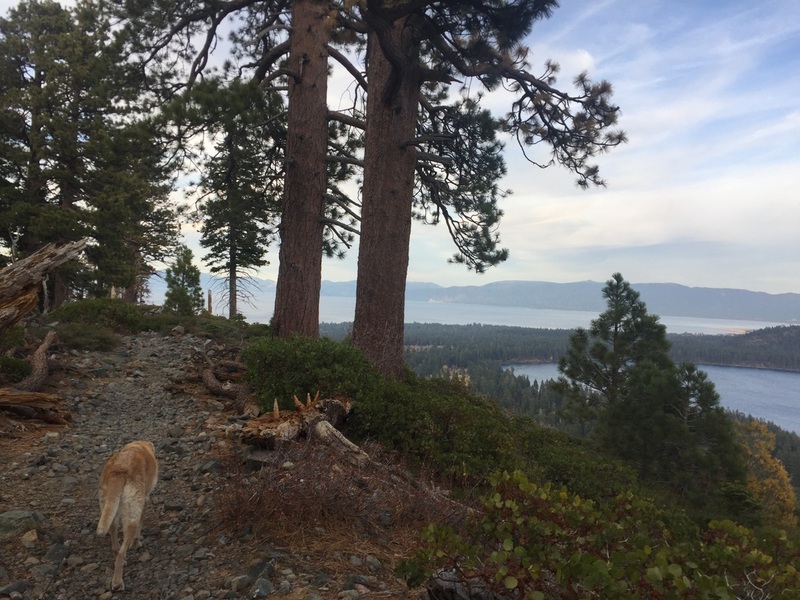 Take it easy as you'll be able to feel the 3,500ft elevation gain. 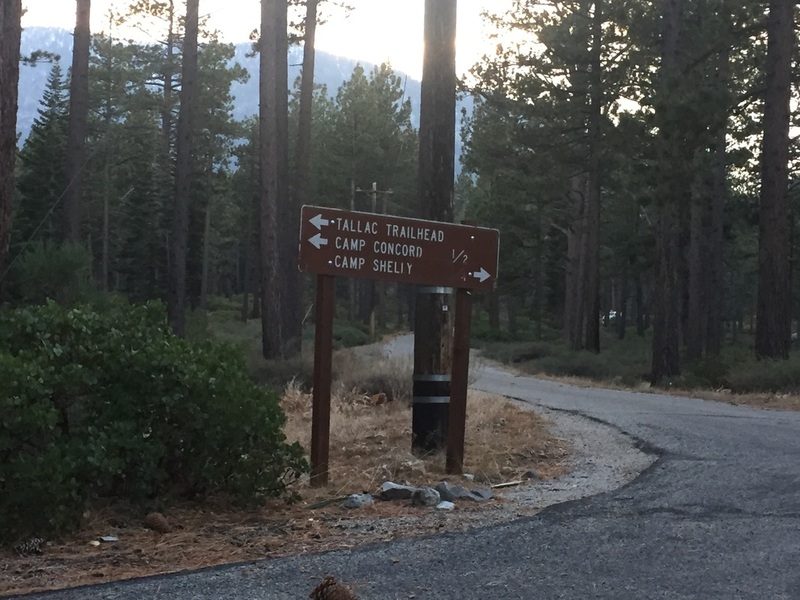 I would recommend a very early start, as it's a long hike, and the parking lot fills early. The beginning of the hike has a few switchbacks but slopes gently up the hillside through the trees. 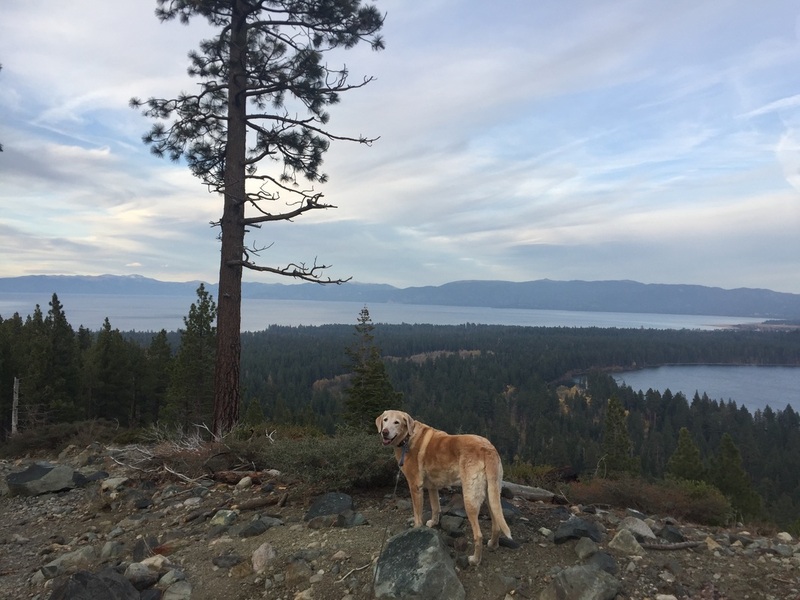 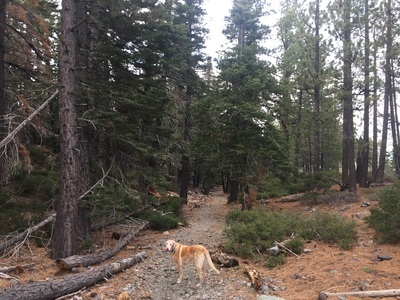 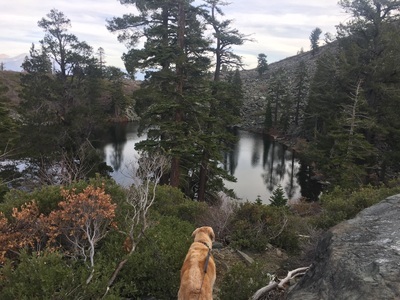 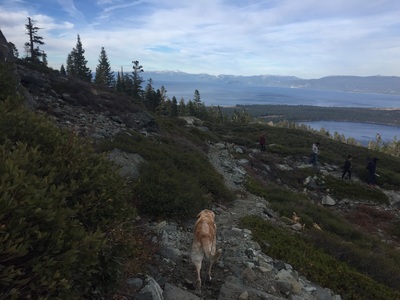 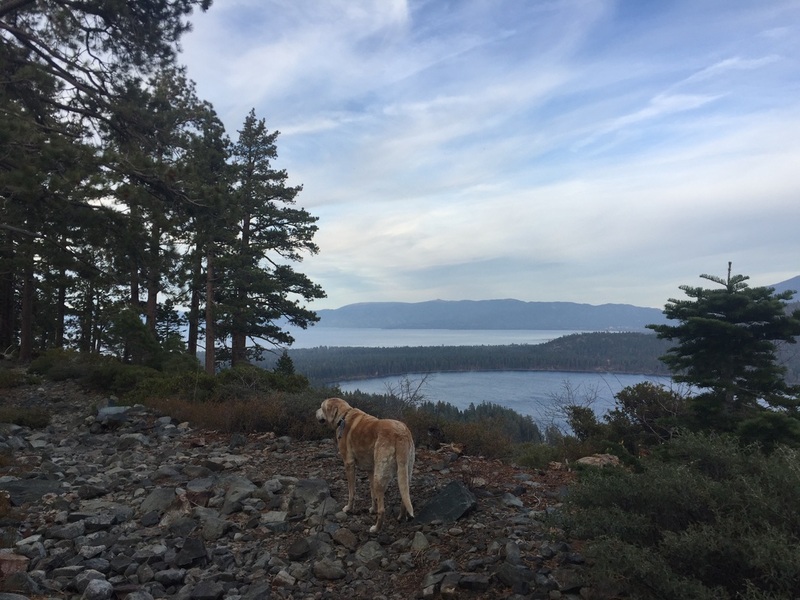 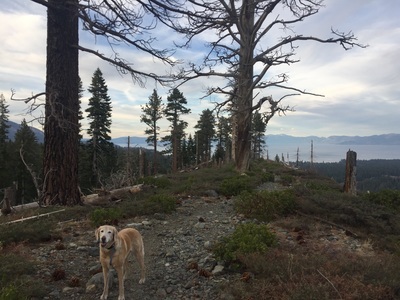 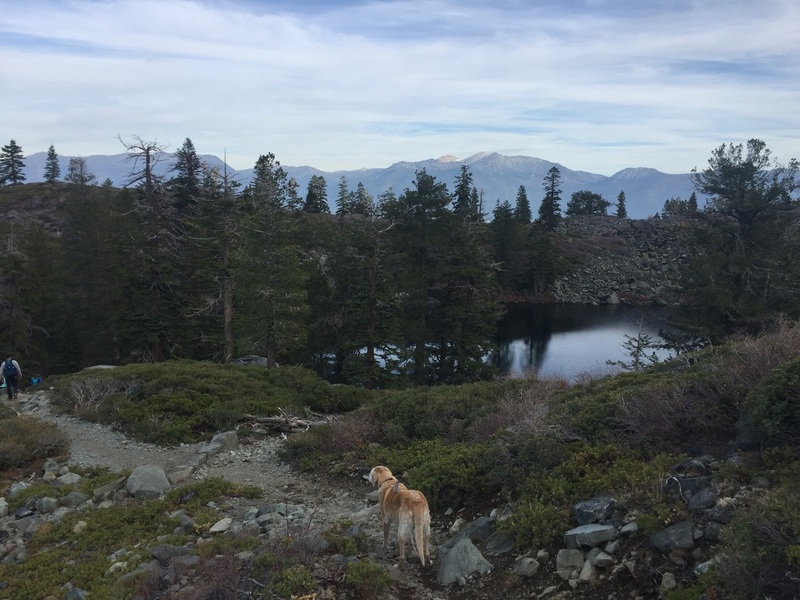 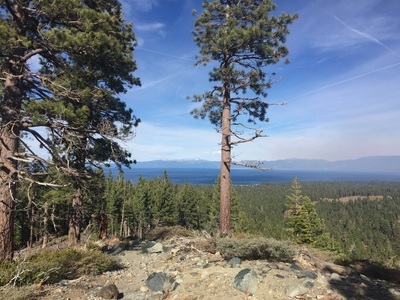 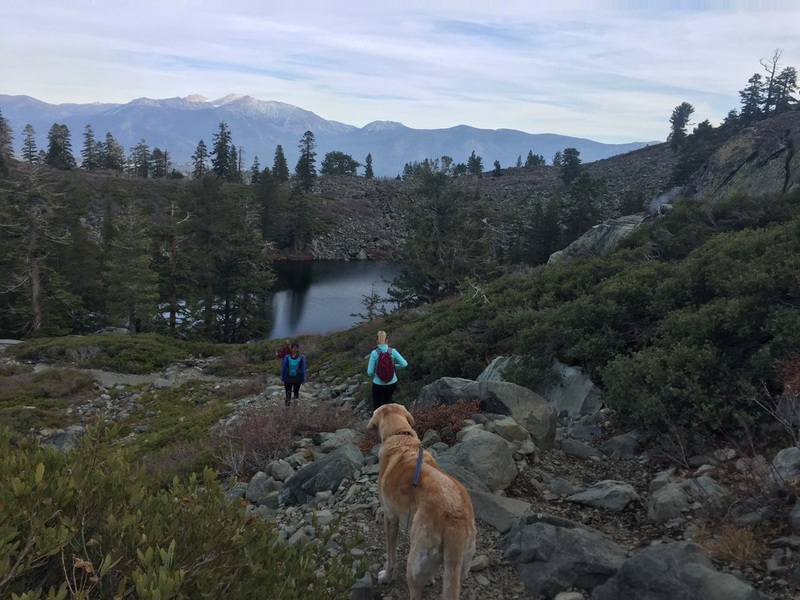 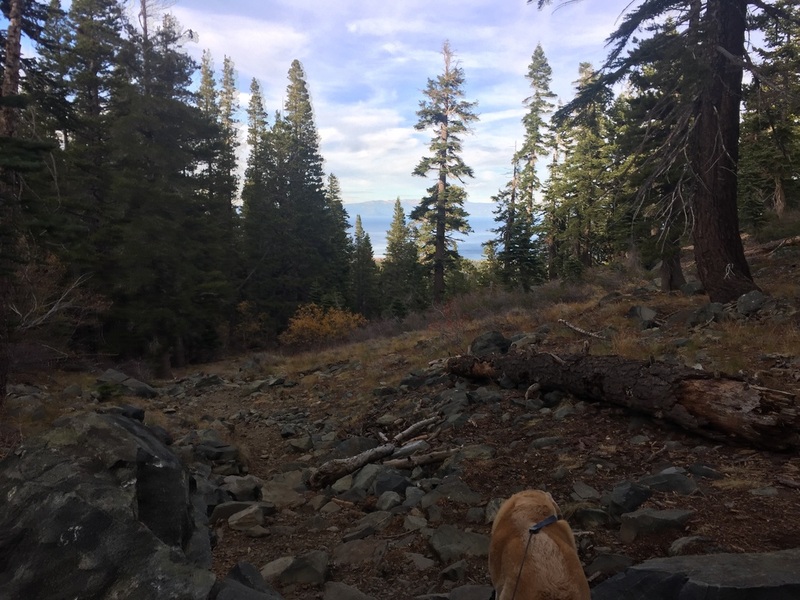 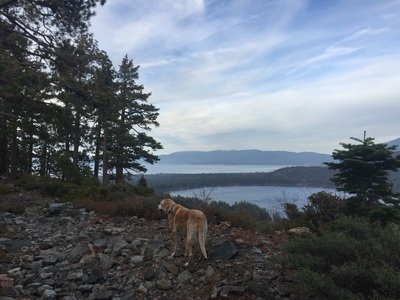 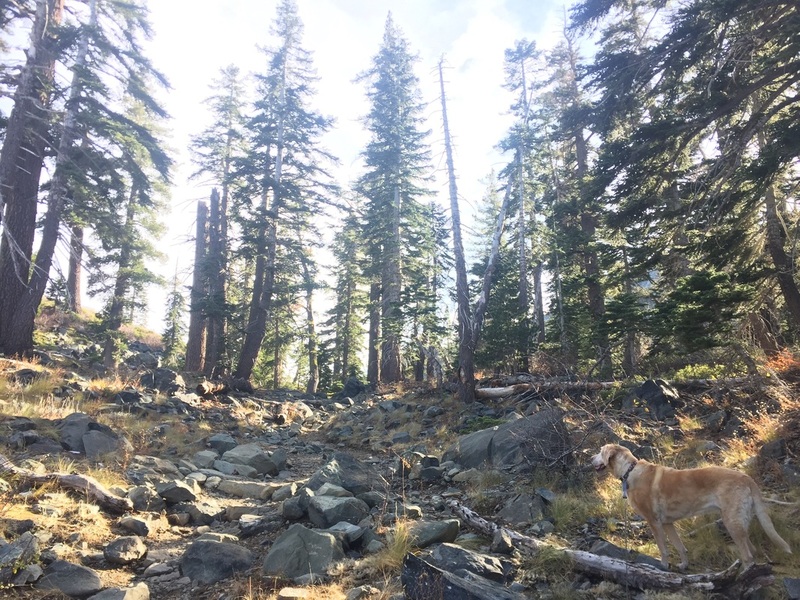 After a little less than a mile you'll finally reach a clearing in the trees and have great views of Fallen Leaf Lake and Lake Tahoe. 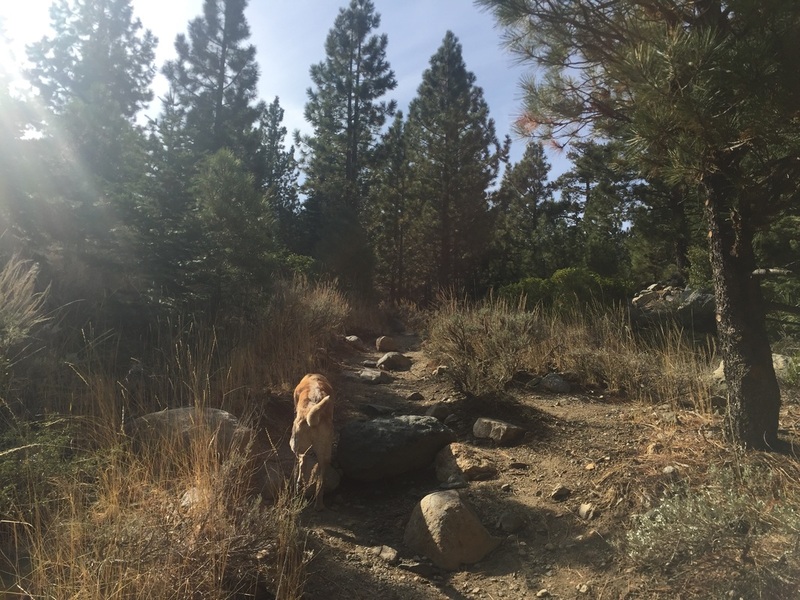 The trail then becomes rocky and is mostly flat but completely covered in small rocks. 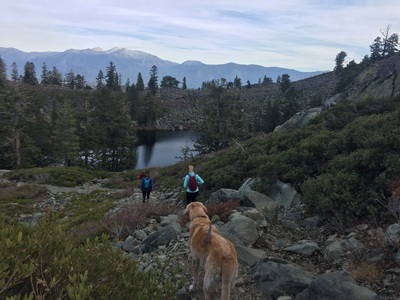 There are a few boulder "stairs" you'll have to climb in several sections and at 1.7 miles you'll reach Floating Island Lake, which will be on your right. As you continue to hike you'll hear the creek and have to cross shallow sections of it a couple times. 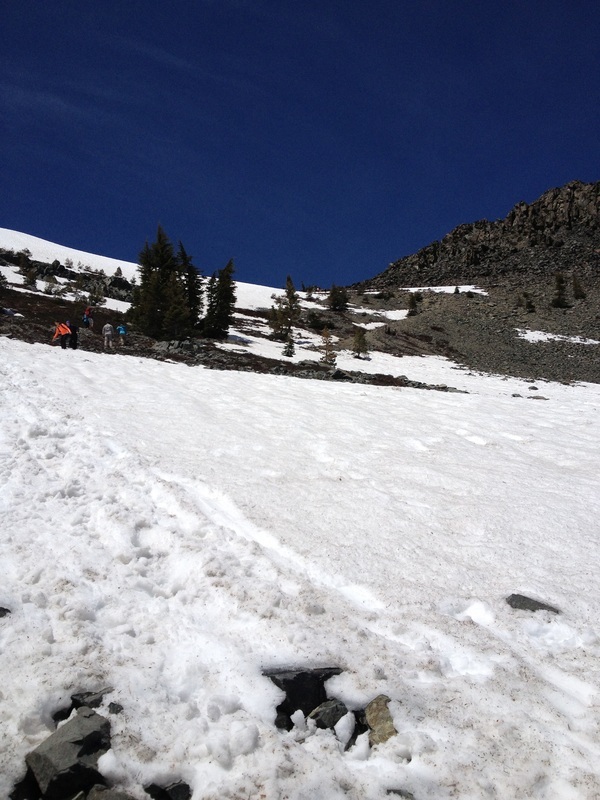 We even saw some snow at this elevation. You'll continue to climb, eventually reaching a trailhead post (stay to your right, going uphill). 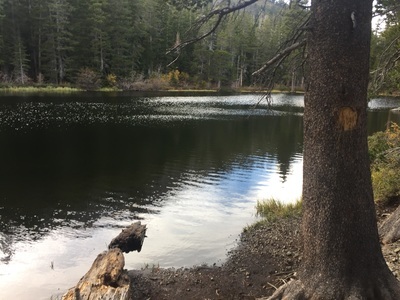 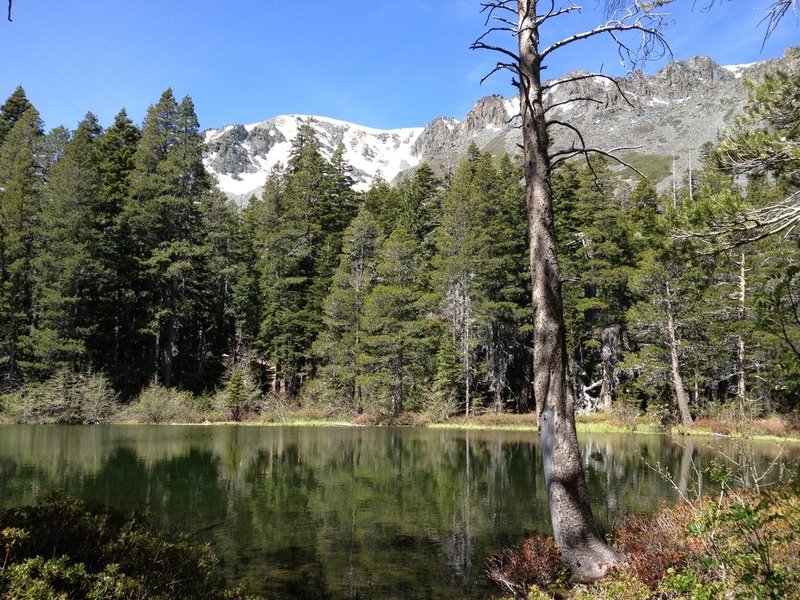 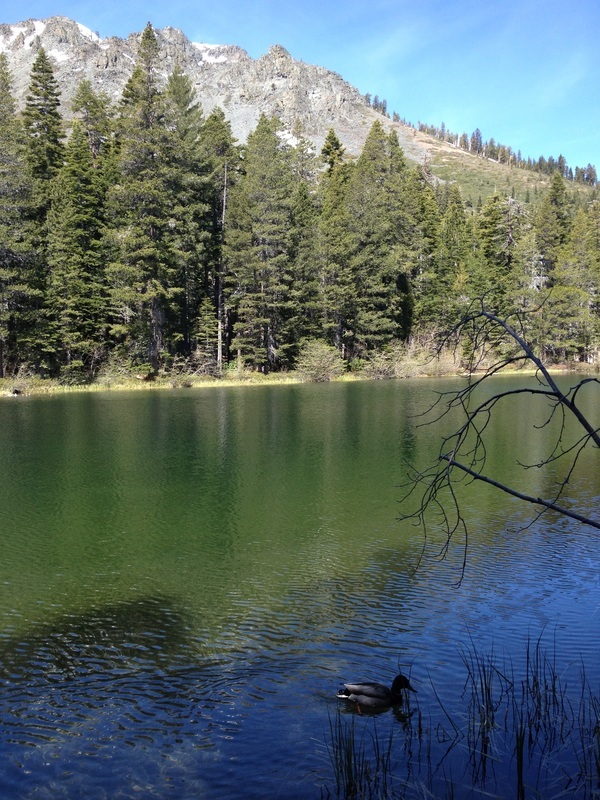 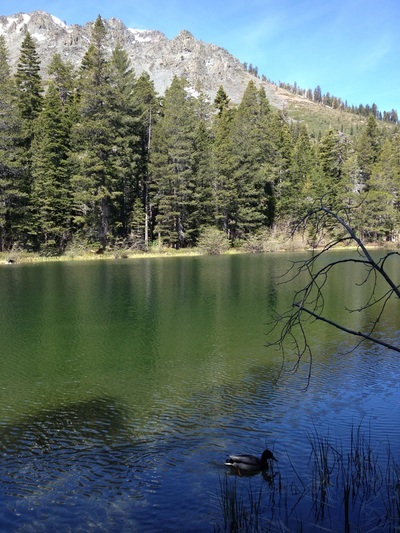 At 2.5 miles you will reach Cathedral Lake. 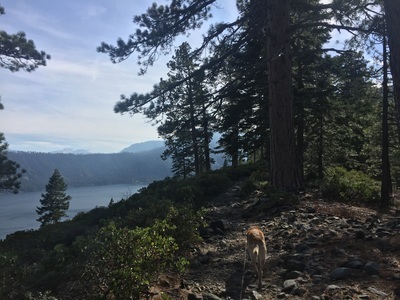 After this you'll have to climb a lot of steep rock stairs, with several switchbacks cut into the rockside climbing uphill. There are amazing views of the lakes below at this point, which is only about 3.5 miles into the hike. The last stretch of the hike is a steep rock scramble leading you to the peak of Mt. Tallac at 9,735 feet. 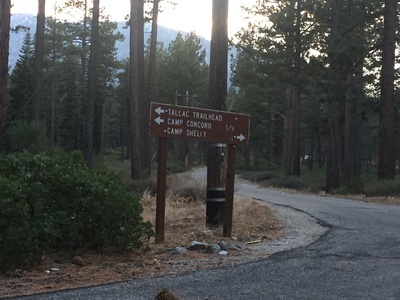 The parking lot is across from Baldwin Beach, and you'll see a sign for the "Mt. 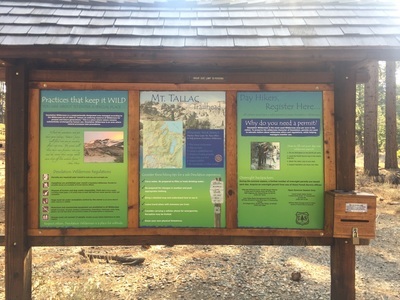 Tallac Trailhead" on your left as your pass Baldwin Beach on your right. 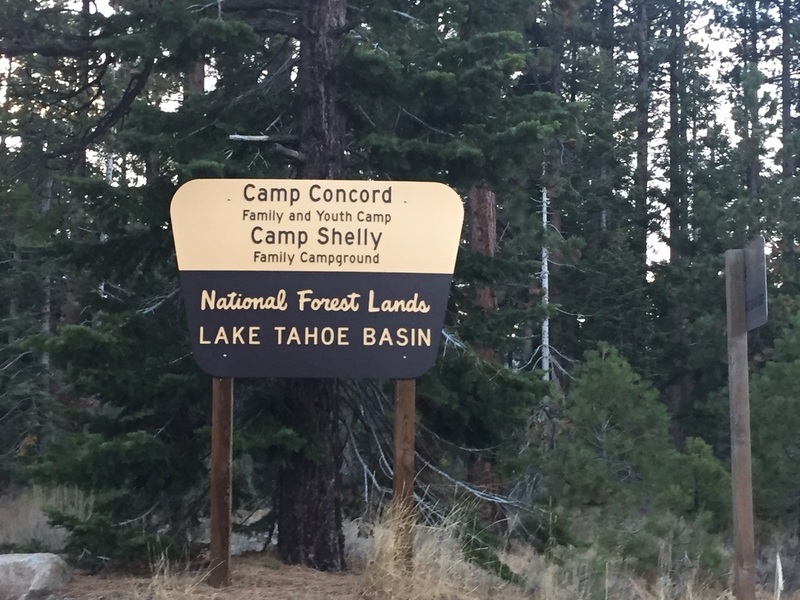 You will drive down a road for about a quarter mile and see another sign telling you to turn left for Mt. 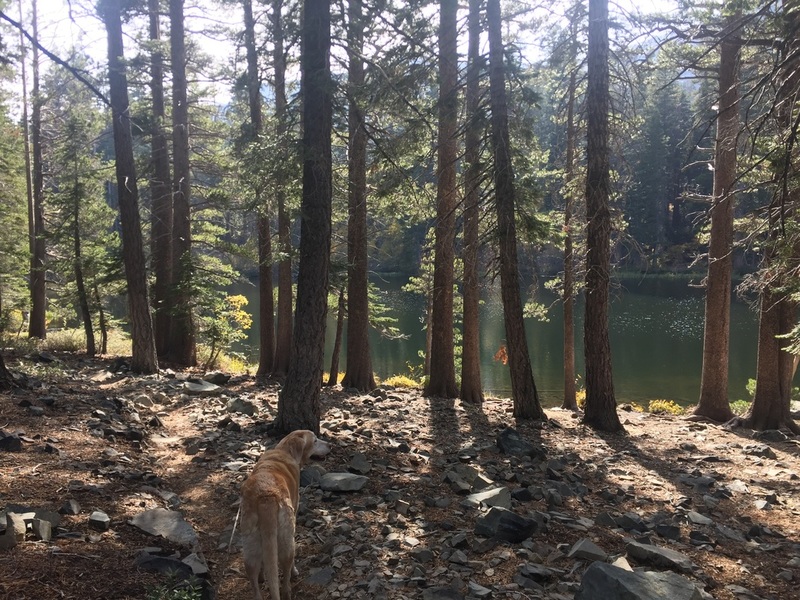 Tallac. 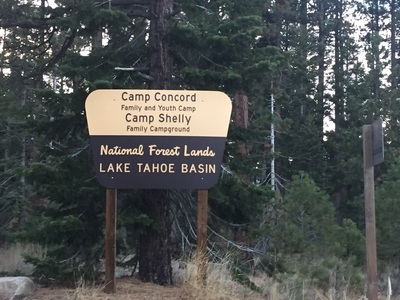 Keep driving and eventually you will reach the parking lot and trailhead. 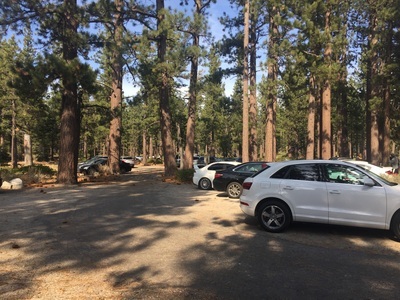 The actual parking lot at the trailhead is very small, but there's plenty of room to park alongside the road for quite a ways down. If you arrive late you will see lots of cars parked on the side of the road as you drive in. 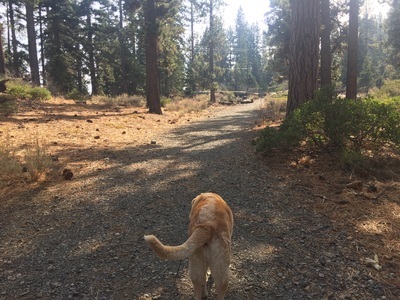 There are no trash cans, restrooms or running water at the trailhead, so pack out your trash and bring plenty of water.